Mary: Adam Henige of Netvantage Marketing reveals a truckload of ridiculous Google Maps spam created by an SEO company in Michigan. 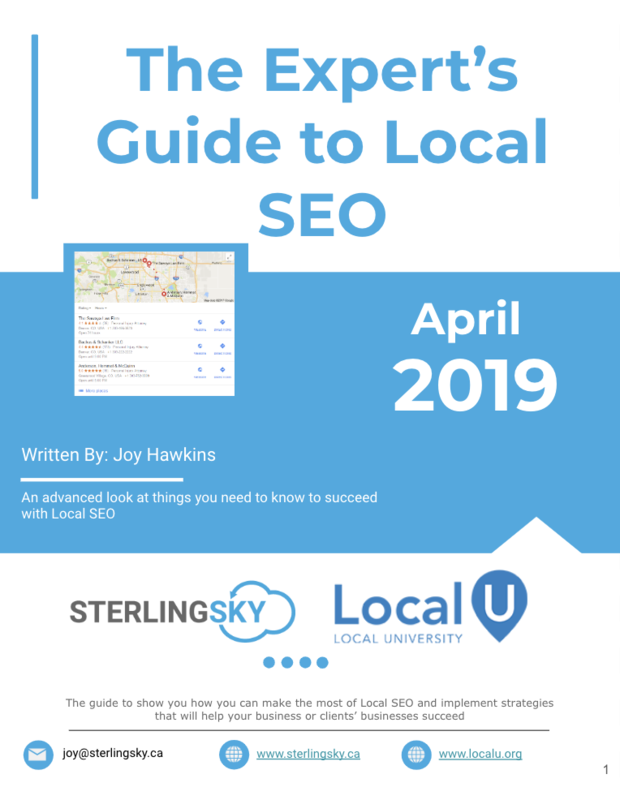 Mary: Bright Local helps us better understand business practices, pricing, services and attitudes towards local SEO. Compare it to surveys since 2011. Mary: See how cheap and easy it was for a man to try to brainwash his family and friends with targeted Facebook ads. Mike: Yelp, with declining numbers of reviews, users and advertisers is looking more and more likely to be candidate for sale. But who could or would buy them? 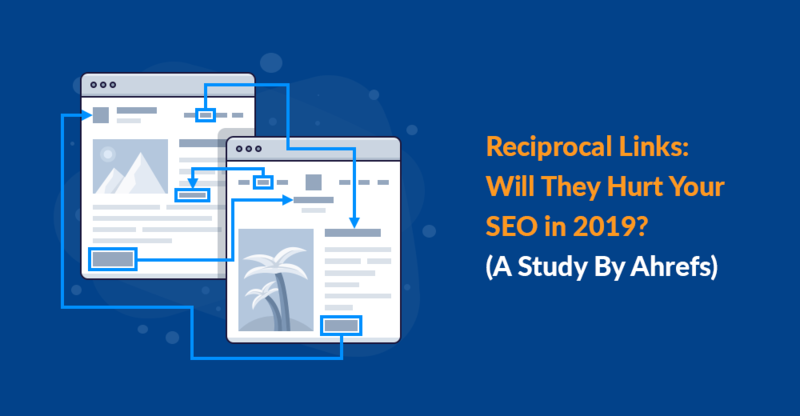 Mike: Reciprocal links, when done properly, are a natural part of the web and can help a website. Not all reciprocal links are bad. Mike: We are starting to see the beginnings of Facebook’s integrated communication strategy. Messaging is an area where Facebook (and Apple) have a real advantage over Google. Dave DiGregorio on Twitter: "First time I'm seeing snippets from Google Posts being pulled into the local finder. 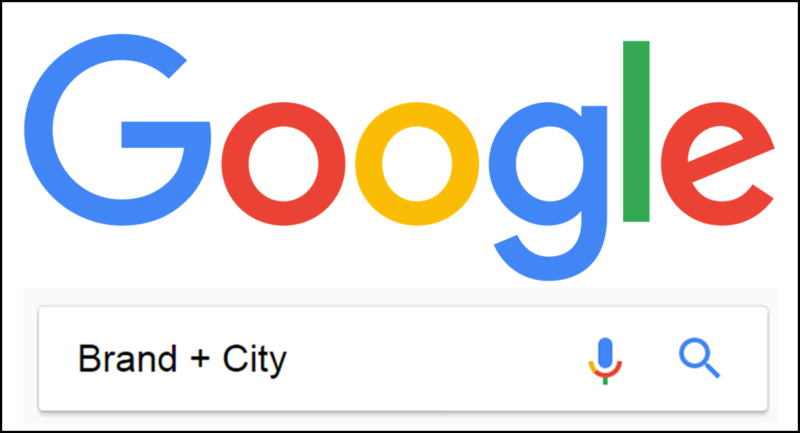 Mike: Dave DiGregorio @deegs20 noted that this was the first time seeing snippets from Google Posts being pulled into the local finder results —> entity knowledge definitely be gleaned from Posts. Carrie: Join Carrie and Dana DiTomaso as they discuss some tips for moving your reporting to Google Data Studio and why its superior to native Google analytics as so much data can be added from outside Google Analytics. 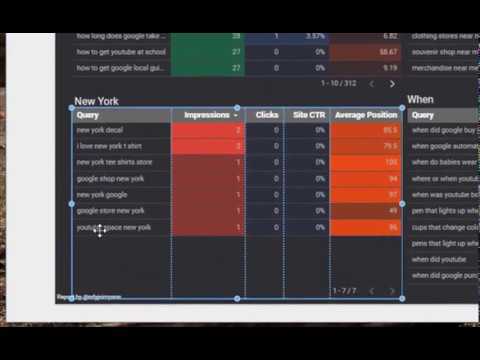 Google Data Studio used to display GSC Query Data for "who, what, where, when and how"
Carrie: Andy Simpson posted a really helpful tip for using Google Data Studio to find out what kind of questions your customers are asking by filtering "who what where when why how" questions in Google Search Console. Darren Shaw on Twitter: "Adding a bunch of unrelated categories to your GMB listing will definitely have a negative impact on your local rankings. Carrie: Darren Shaw posted some research he did into unrelated categories on a GMB listing Too many and too diverse results in a drop in rankings. Carrie: Google changed content guidelines for QAPage Schema markup to note that its specifically for UGC, not for businesses to ask and answer their questions without the public's input. Carrie: The team at Gather Up has added the ability to respond to Google reviews from directly within their review management dashboard.